Or keep it beautifully simple with a plate of sliced garden tomatoes. Golden yellow corn pudding against bright red tomatoes. 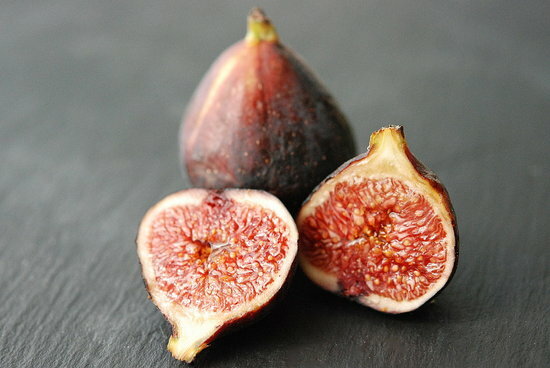 Fluffy, creamy, juicy all together. A hint of sweet and salt. Sigh. Unbearably good. 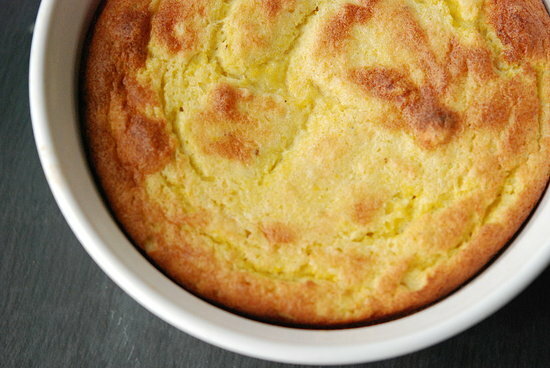 Corn pudding made with fresh, just-picked corn is the best of all. I’ve even used leftover cooked corn with scrumptious results (the pudding pictured is made with the corn I grilled for dinner last night). My version isn’t nearly as heavy as others you’ll see. Some are so loaded with cream, cheese, sugar, and butter, I’m not sure how you even taste the corn. Fresh sweet corn is the star here. What to have for dessert? 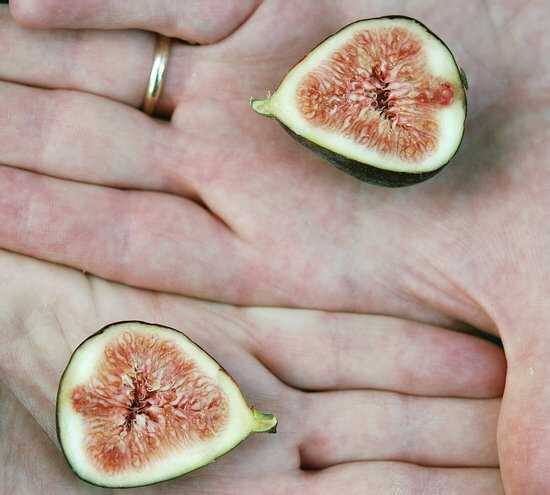 Fresh figs, which are obscenely good right now. Maybe a few almonds too. This time of year is heavenly. 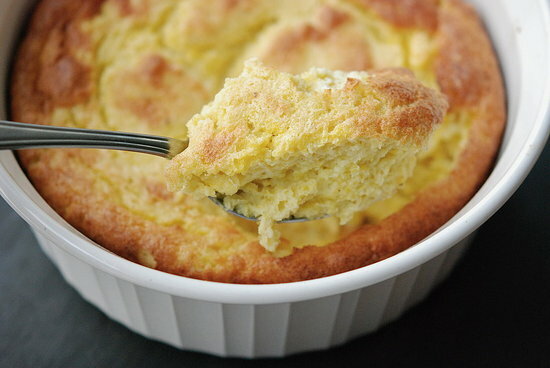 Preheat oven to 350 degrees F. Grease a souffle dish (approximately 8 inch x 3 inch round dish). An 8-inch square pan could work too. Puree corn kernels and half-n-half in a food processor until smooth. Add egg yolks, sugar, butter, and salt and continue to puree. Set aside. Beat egg whites until soft peaks form. Fold pureed corn mixture, as well as scallions and cheese if using, into the egg whites. Pour batter into prepared pan and bake for 35-40 minutes, until lightly browned on top and set. Serve immediately.